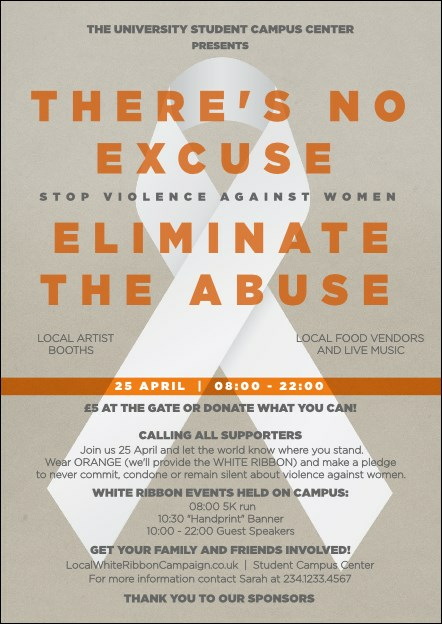 Send a strong statement about ending violence against women with the White Ribbon Postcard. Printed on high quality card stock, this postcard features 25 lines for information about your event, with a soft grey background, and orange text. For more promotional materials, combine with a Matching Event Kit. Browse the gallery at UK Ticket Printing for all your campaign needs.